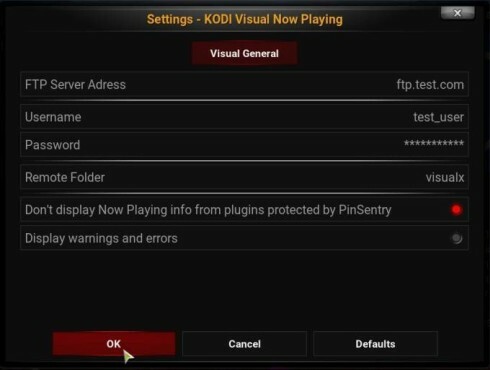 This is a KODI plugin I wrote for myself but I thought it might be useful to somebody else, so here it is. 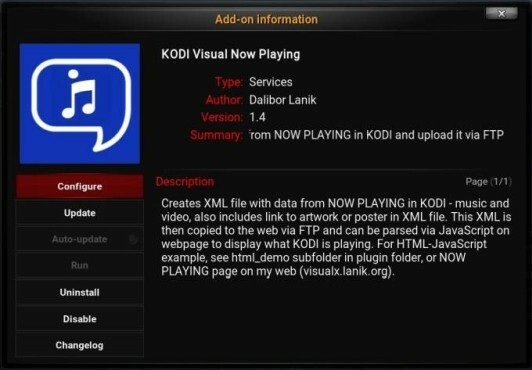 On my old HTPC (Xlobby), I had a script that displayed what was playing on my web page. So when my HTPC died and I switched to KODI, I tried doing the same. Here is the result Smile This probably won't be interesting to many people, but I had this idea that my web pages would display what was playing on my HTPC. So the way I did it (since I couln't allow some script inside my LAN) is to monitor what was playing and create XML file, which then I would send via FTP to my web-server and render it on a web-page to display the "Now Playing" info. Since there could be a content that is not for "advertizing", I also made it possible to exclude certain plugins, i.e. Whitecream and what have you. So I took advantage of the "PinSentry" plugin. If you don't want something you're watching to show online, you'd probably want it pin-protected localy as well Smile So my plugin supports pin-sentry on the level of plugins. It reads PinSentry database and gets locked plugins. If something is locked in PinSentry, it won't show on "Now Playing". Ofcourse, you can turn this option on/off.